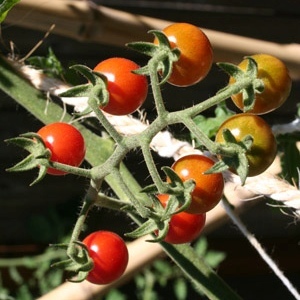 There are literally hundreds of varieties of tomato available either as seedlings at the garden center or as seeds from either the garden center or from a mail order or Internet company. Choosing the best variety for you can be an intimidating and certainly a challenging task. 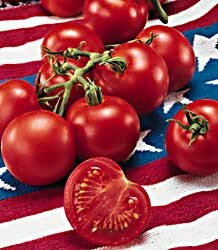 Now is a good time to choose and make a list of the kinds of tomatoes you will be growing in your garden this summer. There are literally hundreds of varieties available, but unfortunatley not every one will do well in your garden. So the name of the game is to find those varieties that work well in your neighborhood. The best source are those tomato gardeners living in your county. If a variety works for them, it will likely be good for you. 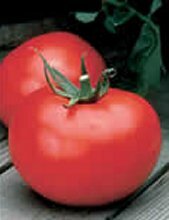 For excellent info on the best Tomato varieties by state and county go to the vegetable variety data collection project at Cornell University –www.vegvariety.cce.cornell.edu. [link] We urge you to join this valuable site and contribute your own ratings of varieties. 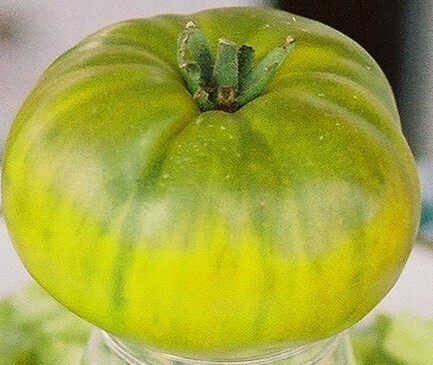 There are two kinds of tomato plants – determinant and indeterminant. The shorter determinant plants grow only to about 3 or 4 feet and produce their crop and ripen within a few weeks. A tomato cage serves as support. The much taller indeterminent tomato will grow to over 7 feet andwill need a proper trellis as they continue to produce tomatoes through frost. 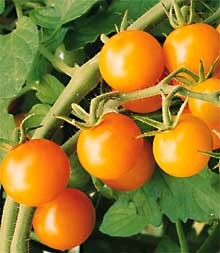 Search “Vertical Growing” on our website (yardener.com) for info about rigging vertical supports for tomatoes. Some varieties of tomato ripen earlier in the season, around early July while others take longer to ripen. Size is often the distinguishing factor. Early varieties, are usually more tolerant of cold temperatures. Here in my zone 5 Michigan garden, Early Girl and Burpee 4th of July are staples I plant every year. I have found them to be dependable producers, regardless of the weather conditions. 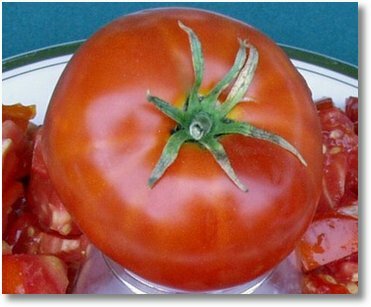 Here you are deciding if you want a normal size tomato or one or more of the really big tomatoes often called “beefsteak”. 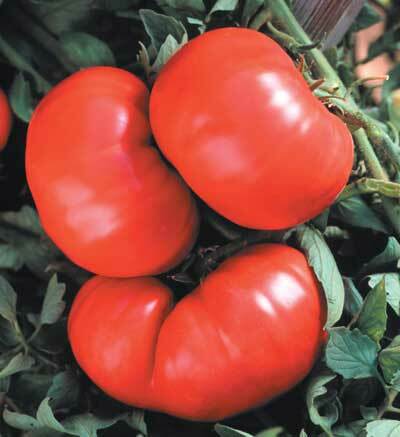 If you love tomatoes in sandwiches a beefsteak tomato gives you the perfect slice for a sandwich. 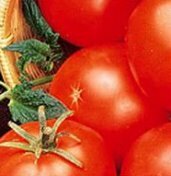 For the cooks in the crowd, a sauce tomato is bred to be used in making tomato sauces, however, many folks love to eat the fresh in salads and salsas. 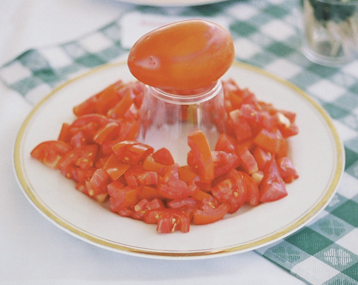 Rutgers, an indeterminate, bred for use as a canning tomato is also prized by many as a slicer. Amish paste and Romas are preferred for paste and sauces. Cherry tomatoes are usually the size of a big grape. They come in colors including red, orange, pink, mahogany and green. Some folks eat them like candy any time during the day. Cherry tomatoes are good for salads because they are already bite-sized. My all time favorite is the Sun Gold pictured on the left. It is sweet but tangy and the bush produces hundreds of orange fruits. Open-pollinated varieties produce offspring that are true to type, meaning they have the same characteristics of the parent plant. 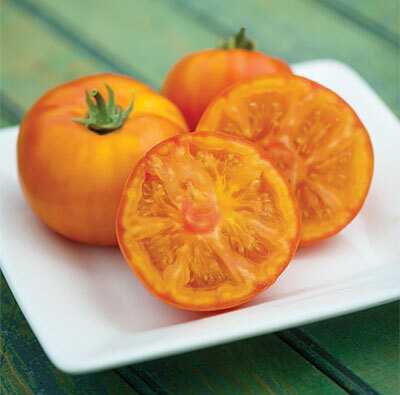 Heirlooms are open-pollinated varieties that have been passed down through generations of farmers and gardeners. Hybrids are a cross between two genetically different plants. Seeds saved from hybrids are often sterile, and even if they are viable, they will not be true to type. This means you must buy new hybrid seed every year or two. You name it, tomatoes come in many different colors. 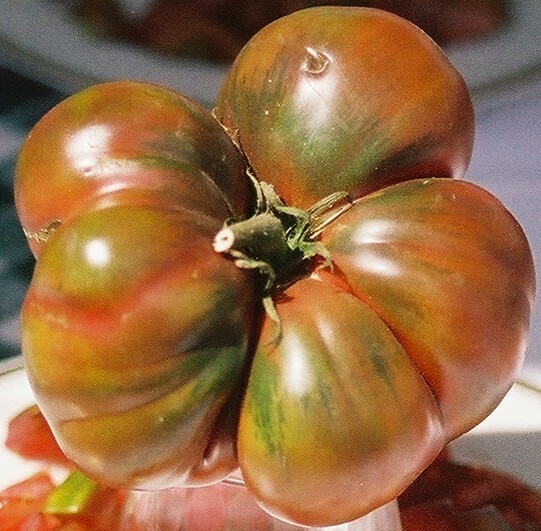 Back in Grandma’s day most tomatoes were simply red. 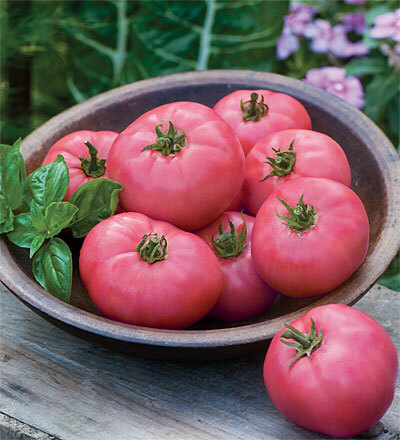 Now you can get varieties that are Red, Pink, Orange, Yellow, Green, Purple, and even Striped. If you buy seeds for your tomatoes you will have many more choices of variety but you will have to start those plants indoors before setting them outside in the garden. Years ago, the only place to buy tomato transplants ready to plant in the soil was the local garden center. The garden center still offers seedlings but now many seed houses are also selling tomato transplants through the mail. One advantage with buying your tomato seedlings from your local garden center, is that they will know which varieties should do well in your area.